Hanako Maki | The Phoenix Although Loyola men's basketball head coach Porter Moser said he doesn't care about "Way-Too-Early Top 25" polls, but Loyola's snubbing proves basketball writers are biased toward high-majors. May 30 was the deadline for college basketball players to pull out of the NBA Draft and maintain their eligibility. This means college coaches know who they have coming back to their roster and allows media pundits to put their “Way-Too-Early Top 25” for next year. Normally, when a team makes the Final Four, writers have it somewhere in their “Way-Too-Early Top 25.” However, Loyola was left off CBS Sports and FanRag Sports’ polls. Sure, the Way-Too-Early polls don’t mean anything — it’s all for fun — but Loyola’s snubbing continues to prove there’s a lack of respect for mid-majors. I’ve written about this before. In March Madness, 45 of the 68 teams came from “high-major” schools, according to CollegeInsider.com. Now, the high-major bias is coming to the writers who live and breathe the game. It’s a shame. Mid-major basketball is much more fun to watch because most players stick around for four years instead of going to the NBA after one season. I’d much rather have a player develop into an NBA-caliber player over four years than only see him play one year before darting for the NBA. 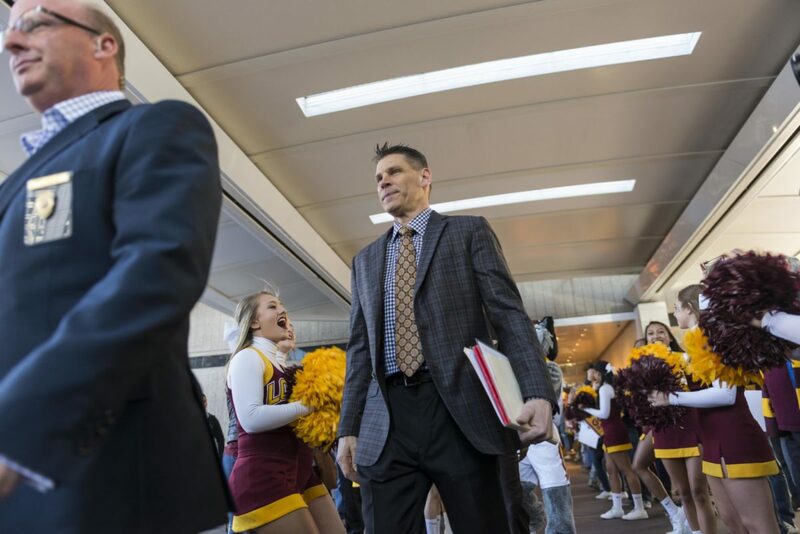 Head coach Porter Moser made his thoughts on the polls clear in a Yahoo! Sports story published June 1. Moser always talks about his team being locked in. As cliché as it is, his statement proves his mentality isn’t changing. I have to give him credit for not mincing words, though. While Moser doesn’t care about the predictions, this mid-major loving basketball fan does. Loyola beat University of Miami (Fla.), University of Tennessee, University of Nevada and Kansas State University in the NCAA Tournament — all of which are considered “high-major” schools by CollegeInsider.com. All those teams are in the “Way-Too-Early Top 25” polls. Nevada’s even been discussed as top-five material because Caleb and Cody Martin — their two best players — are returning next year. What if I told you Loyola beat the Wolf Pack in the Sweet Sixteen? I’m not saying Loyola should be ahead of Nevada just because of its Sweet Sixteen victory. Let’s be honest, the Ramblers aren’t a top-five team. But, they at least deserve to be in the Top 25. Sure, Loyola’s losing three key players in Donte Ingram, Aundre Jackson and Ben Richardson. But, look who Moser has coming back. Missouri Valley Conference (MVC) Player of the Year Clayton Custer, MVC All-Tournament team nominee Marques Townes and MVC Freshman of the Year Cameron Krutwig all averaged double-digit points per game last year. In six games against high-major schools — five in the NCAA Tournament and one against University of Florida Dec. 6 — Krutwig averaged 11 ppg and 5.3 rpg while Townes averaged 9.3 ppg, including the game-winning three-pointer against Nevada. Custer averaged 12.2 ppg during the NCAA Tournament — including the game-winning shot against Tennessee — and scored three points in the first half against Florida prior to spraining his ankle just before halftime. MVC All-Freshman Team and All-Bench Team nominee Lucas Williamson proved his worth in the NCAA Tournament with key minutes off the bench, averaging 4.6 ppg and making a key defensive stop against Miami to set up Ingram’s last-second shot. These players have proven they can compete with high-major teams. Throw in a talented recruiting class headlined by four-star center Franklin Agunanne and athletic swingman Aher Uguak eligible after sitting out last year per NCAA transfer rules, and Loyola’s in business. 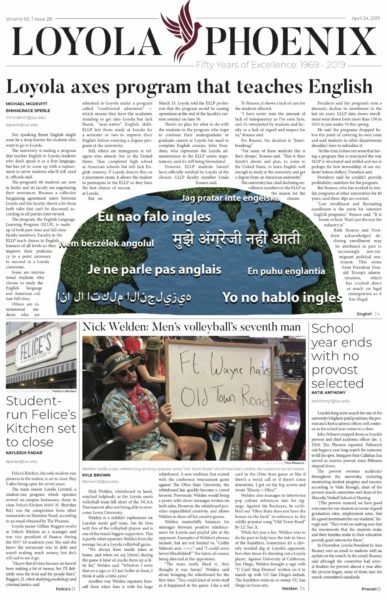 Forde’s piece also mentioned a possible “mystery piece” who could “raise eyebrows.” Given that the National Letter of Intent signing period’s over for rising first-years, that could mean Moser’s eyeing a graduate transfer or a junior college transfer, both of whom would have immediate eligibility. Regardless, it looks like Loyola’s going to be good next year. It’s crazy to think that if Loyola hadn’t won the MVC tournament, I wouldn’t be writing this. The March Madness selection committee has shown bias against mid-majors. Winning Arch Madness gave the Ramblers an automatic bid to the NCAA Tournament and, despite a 27-5 record heading into the Arch Madness championship game, wouldn’t have made the big dance if they lost to Illinois State University in the title game in St. Louis. College basketball season’s set to begin Nov. 6, according to the NCAA. It’ll be interesting to see where the Associated Press puts them in its first poll next fall. Given Moser’s comments, he’s going to try his best to tune out the noise just as he told his team to do during March. But, hey, any form of motivation helps teams win.